Moroccanoil ® The miracle oil. Never greasy or sticky. We believe in it so much, we add it to every color service we do, at no charge to you. Moroccanoil® began when their co-founder, Carmen Tal, was traveling in Israel. After a color service that left her hair badly damaged, a friend brought her to a salon where she experienced an astonishing oil treatment. The result was that her hair instantly transformed from damaged to shiny, smooth and manageable. Inspired by the incredible results, Carmen set out to share this unique oil treatment and its benefits with women around the world. At the time, oil treatments were unconventional for hair but Carmen was undeterred by this obstacle. She and her husband teamed up with a group of visionaries to perfect this amazing formula. 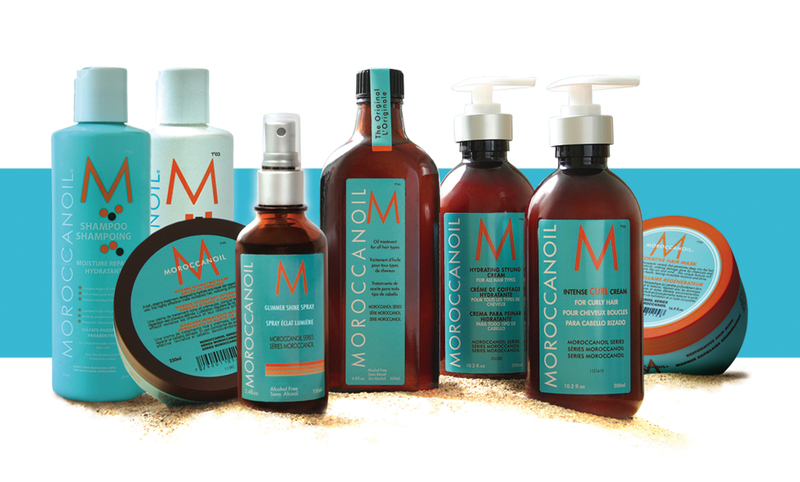 The result – they introduced Moroccanoil® to the world. Today, Moroccanoil® has become a hair care industry sensation embraced by celebrities, runway stylists and women the world over. At the core of it’s success is quality. They have perfected the Moroccanoil® Treatment and extended the line to include solutions for every hair need. Their formulas not only leave hair naturally smooth and shiny but also improve its actual condition to make it stronger with each use. We are located at 2398 Fair Oaks Blvd. Ste. 9 , Sacramento, CA 95825. Book direct (916) 838-4642 we text. E-mail us at gshair@sbcglobal.net We are in the modern building on the corner of Fair Oaks Blvd. and Fairgate Drive. #ontheboulevard See you at the studio!